Yet another addictive game comes from developer Noodlecake Studios and this time about ducks. 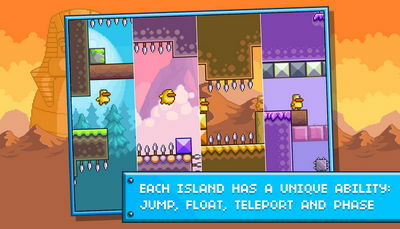 Gravity Duck Islands is an addictive physics-defying puzzle platformer, where you need to flip gravity to avoid obstacles and progress through the levels, which are spread across 4 unique islands. You can walk on walls and ceilings, that's neat!